Sold the Torque Workcentre (Router Master) today, which is a good step (goes towards paying for some of the shed electrical installation! 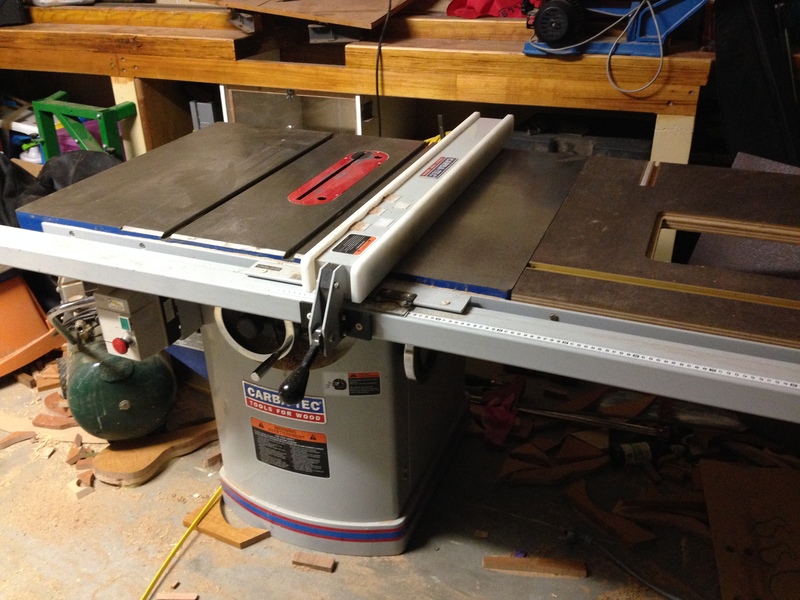 ), so just have the tablesaw to go. 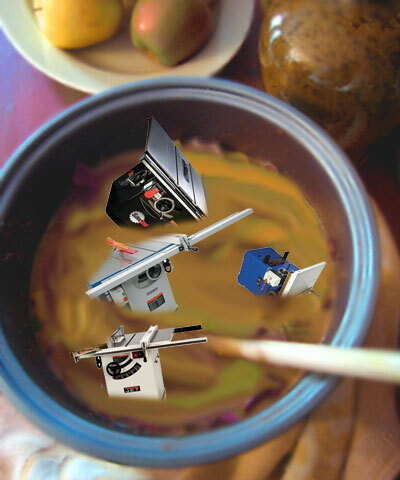 And I do need it to go – it is taking up precious space, as much as it is a reluctant sale. (I really do like the TS10L). However, it is what it is. Hopefully as a bit of encouragement, I have taken 10% off the asking price, and set it to a very round $2000. See here for more details. Quick update on the saw. It includes the router table insert shown here. 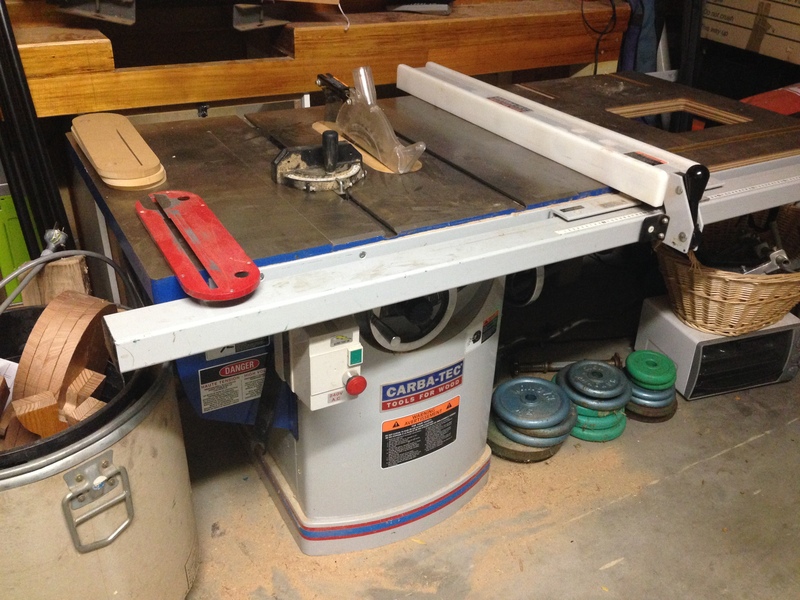 This is one of the original router tables from Professional Woodworkers Supplies, a multilayer laminate of masonite and MDF, with tracks, and an opening for a router table insert such as the Woodpecker inserts and lifts. (Blade guard and miter gauge not shown). There has been quite a bit of interest shown, so I better get on with it. After researching the current equivalent new price for a saw of this calibre, and new vs second hand prices, I’ve determined a price around $2400 to be reasonable. It is not being offered elsewhere (at this stage). It has been a while coming (sure I could say that about a number of things at the moment! 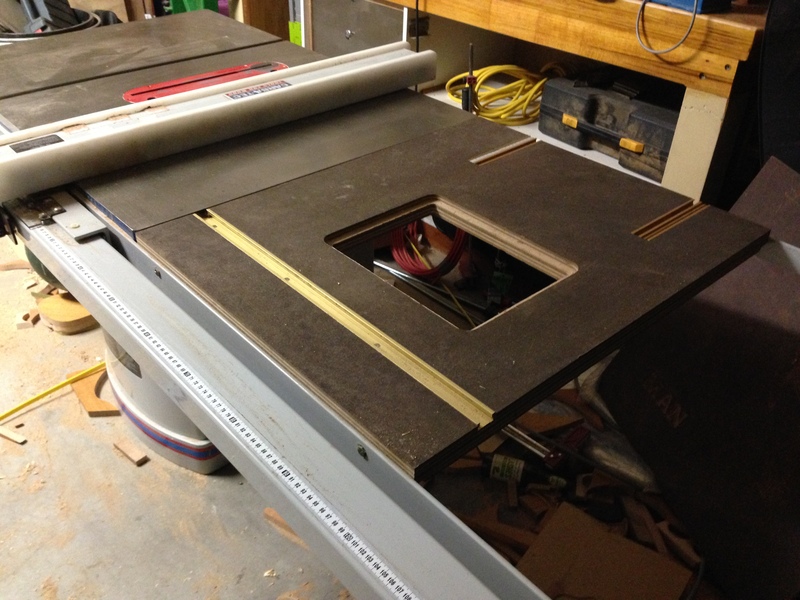 ), but I finally had an opportunity to put the SawStop together. Shot some video of that at the same time, so hopefully that will go into the details more. First impressions are good, very similar to the TS10L in a lot of ways. Once it was up, I tweaked the layout a little more. Still plenty of room for the few machines yet to be moved in (bandsaw, drill press, DVR lathe). Some things are still not quite in their right place, but as has been observed, lots of room around each machine. Starting to feel like a workshop out there, especially now with the tablesaw set up. After I get the current video of the assembly done, there will be more to follow, including finetuning the setup. One little surprise – despite being a 15A machine (technically 13A), I was surprised it came with a 10A plug Not that it will make a difference – I still have a 15A circuit available for it. 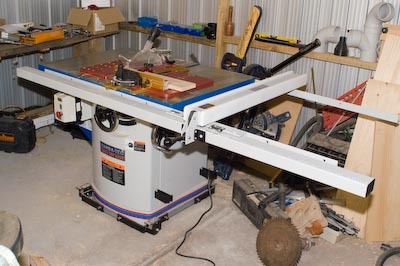 Despite information to the contrary, it appears that Carbatec Perth have received a shipment of the impressive TS10L tablesaw (the same one that graces my workshop). No idea what this means about their availability, or what price they are, but if you are in the market for a great 10″ tablesaw, it’d be worth a phonecall or 2. One to your local Carbatec, and one to Perth. If anyone finds out more news about this, please post it here- price, number of machines available etc. I am assuming/hoping that we are talking about the same machine here- the TS10L of old. I am still a big fan of mine if you haven’t gathered. So Go Go Go!